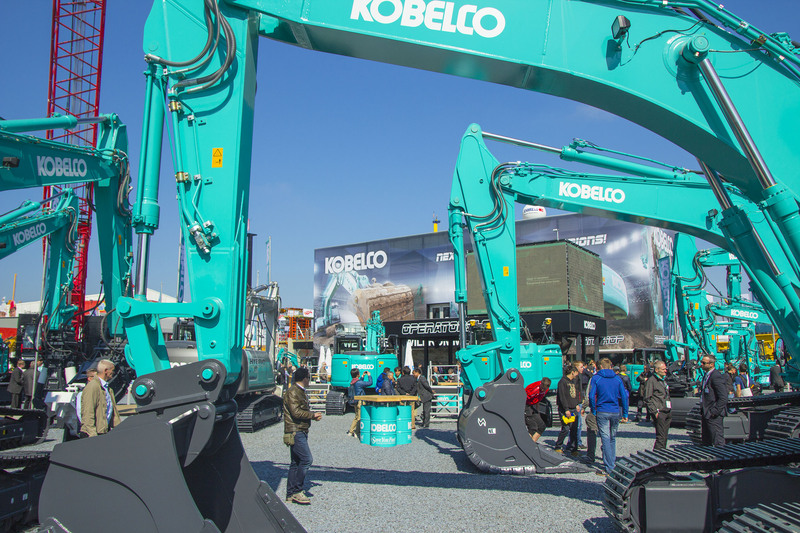 Our next event... - Kobelco Construction Machinery Europe B.V.
BAUMA 2016 may now be over, but we’re already planning for our next event – GaLaBau 2016! GaLaBau is a European exhibtion dedicated to construction and landscaping and welcomes more than 1,300 international exhibtiiors from related industries as well as over 65,000 visitors. We’ll be exhibiting at this year’s event – keep up-to-date with all the latest information about what to expect here. See you then!